Higher end shelter mags don't often offer much that was actually DIY'd with regular folk skills. 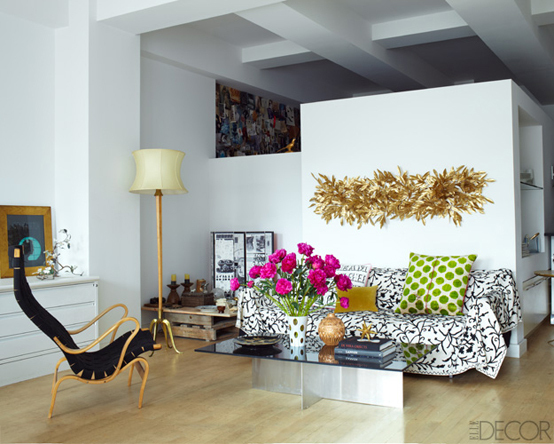 However, Elle Decor's new issue featured Carol Fertig's Manhattan apartment. The gold wall art was made by spray painting plastic leaves. And Brooklynite Zach Motl IKEA hacked two Malm twin beds to make this crisp daybed featured in House Beautiful. That daybed is great. Wish I'd thought of it.